Board games are a great way to spend time together during Ramadan or any time. The best ones are fun for both adults and kids. We’ve rounded up the best family board games to play for all age groups. All of these can be bought online and shipped to your doorstep with MyUS. Have more fun with your kids when you can join in on the game! Create friendly competitions to see who will be the champion of the night. In this game, adults answer questions about kid stuff, and kids answer questions their parents should know. Throw in some wild cards and let the fun begin! Buy it on Amazon. 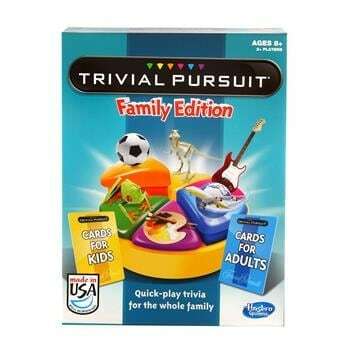 Everyone loves Trivial Pursuit, and now the kids can join in with this family edition. It has a quicker pace to help keep kids engaged, and can be played individually or in pairs. Buy it here. 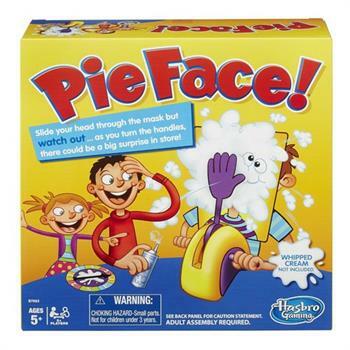 If you haven’t played Pie Face by Hasbro yet, you and your family are in for some real fun. Score a point every time you turn the handle and don’t get “splatted” but beware - the pie-throwing arm could go off at any moment! Buy your game here. This best selling game is a family favorite. 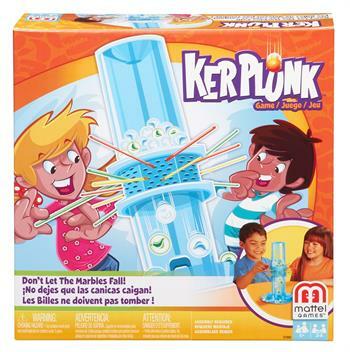 Skillfully remove sticks from the tube while dropping as few marbles as possible. It takes a steady hand and a whole lot of patience! Buy it here. There are so many Monopoly games to choose from, but this one is geared to the younger crowd .If you’re a Monopoly fan, it’s a great way to introduce the little ones to this incredibly popular game. It’s faster paced, comes with single dollar bills for simple transactions, has kid-friendly properties and four junior versions of favorite game tokens. Buy Monopoly Junior here. 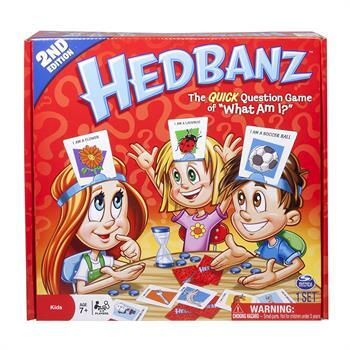 This is a super fun and easy to play fast paced question game for everyone in the family. Even better, it’s an educational game in disguise because it helps kids use their deductive reasoning skills to come up with the answers. Buy the game here. 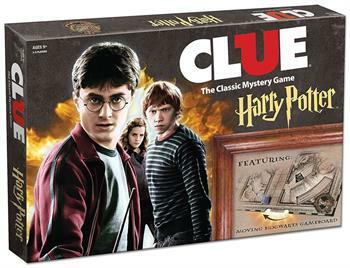 A new spin on the classic Clue board game! Solve the mystery of a student's disappearance from Hogwart’s School of Magic. Featuring a game board with wheels that move to reveal secret passages, it’s the perfect game for Harry Potter fans! Buy it here. It’s always an evening of surprises and outrageous answers with Apples to Apples. Pick the closest “apples to apples” comparison from your game cards and the judge picks the best comparison. 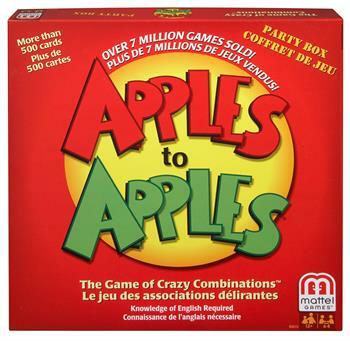 This game is a crowd pleaser and it’s just as fun for adults as it is for kids. Buy it here. This game is insanely simple, and that’s the beauty of it. 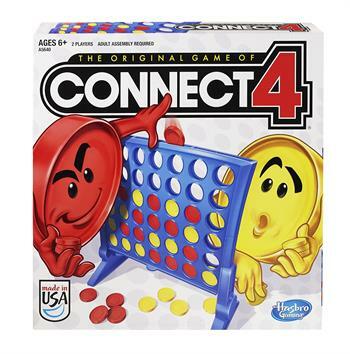 Two players take turns setting and solving a secret four color code. There are more than 2,000 combinations possible, so it’s never the same game twice! Buy it here. Another great two player game, drop discs in a grid and try to get four discs in a row for the win! It’s an easy strategy game for kids to play together. Buy it here. 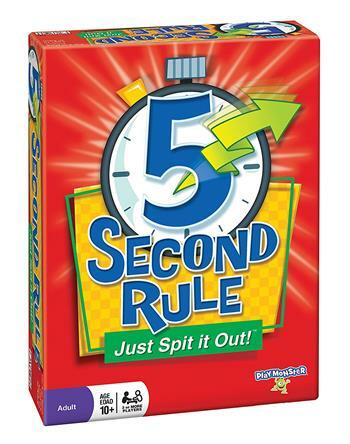 5 Second Rule is easy - just pick a card, read a simple topic aloud, and within five seconds name three things that fit the topic. Tongue-tied, funny answers are the result and laughter is all but guaranteed! Buy it from Amazon. 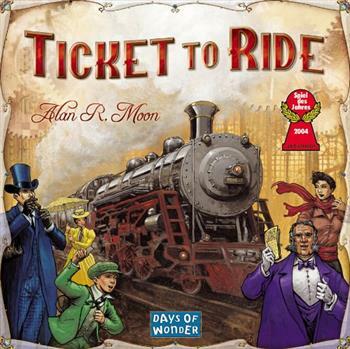 Ticket to Ride is cross country train adventure where players battle to see who can travel to the most cities in North America in just seven days. Suitable for ages eight and up, it’s a game of thought and planning that’s never the same adventure twice. Buy it here. Here’s another great game of deductive reasoning - and kids LOVE IT! Guess the mystery person on your opponent's card by process of elimination. Buy Guess Who? here. Taboo is a game of forbidden words and quick thinking for teens and adults. Get your team to guess as many words as they can without using the forbidden or “taboo” words to win! Buy the game here. Start Shopping For Your Family Game Night Today! Found new games for your family, but concerned about the shipping cost? MyUS members enjoy package consolidation with every shipment (which saves money on shipping costs). Simply order multiple items, and the MyUS team will repackage your purchases for maximum savings on shipping while ensuring your items are packed securely and arrive safely. MyUS also allows you to shop for fun family board games tax free and explains how you can save by shopping U.S. stores! Sign Up and Start Shipping with MyUS! Looking forward to spending time with your family this holiday season? Sign up for a free 30 day membership with MyUS, shop for fun board games, and have them shipped right to your door! We strive to bring our members the best shopping options available, but some board games featured in this post could have purchase restrictions, or may not take every form of payment. Find more information by viewing merchant’s terms of sale, shipping guidelines and/or terms and conditions.